This article appeared in Fermilab Today on Dec. 11, 2014. Fermilab is in the middle of expanding its neutrino program and is developing new detectors to study these ghostly particles. With its exquisite particle accelerator complex, Fermilab is capable of creating very intense beams of neutrinos. Our neutrino recipe starts with a tank of hydrogen. The hydrogen atoms are fed an extra electron to make them negatively charged, allowing them to be accelerated. 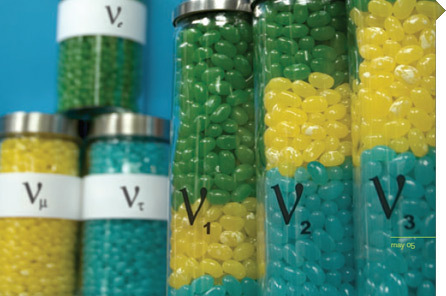 Once the charged atoms are accelerated, all of the electrons are ripped off, leaving a beam of positive protons. The protons are extracted into either the Booster Neutrino Beamline (BNB) or are further accelerated and extracted into the Neutrino Main Injector beamline (NuMI). 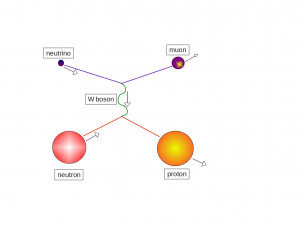 Fermilab is the only laboratory with two neutrino beams. Our two beams have different energies, which allows us to study different properties of the neutrinos. In the BNB, these protons smash into a target to break up the strong bonds of the quarks inside the proton. These collisions are so violent that they produce new quarks from their excess energy. These quarks immediately form together again into lighter composite short-lived particles called pions and kaons. 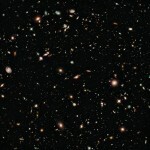 Since the pions and kaons emerge at different directions and speeds, they need to be herded together. As a bugle tunes your breath into musical notes, a horn of a different type rounds up and focuses the pions and kaons. The BNB horn looks roughly like the bell of a six-foot long bugle. It produces an electric field that in turn generates a funnel-like magnetic field, which directs all of the dispersed pions and kaons of positive electric charge straight ahead. Particles with negative charges get defocused. By switching the direction of the electric field, we can focus the negatively charged particles while defocusing the positive charges. The focused particles in the BNB beam travel through a 50-meter long tunnel. This is where the magic happens. In this empty tunnel, the pions and kaons decay in flight into neutrinos, electrons and muons. At the end of the decay tunnel is a wall of steel and concrete to stop and absorb any particle that is not a neutrino. Because neutrinos interact so rarely, they easily whiz through the absorbers and on towards the experiments. And that’s the basic formula to make a beam of neutrinos! 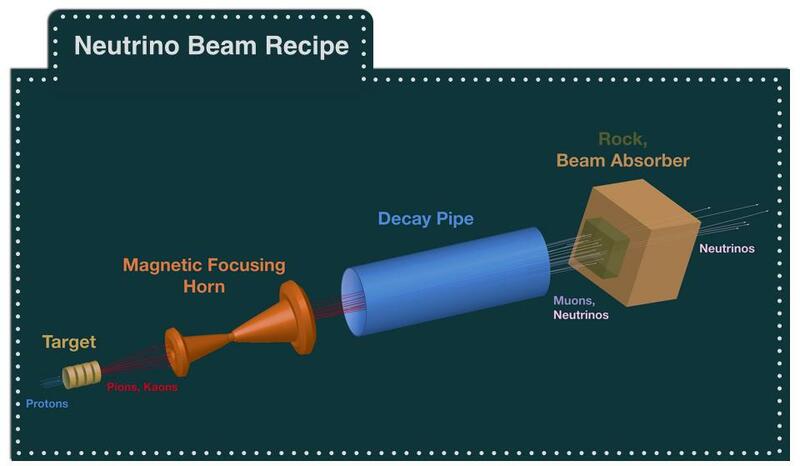 A single neutrino beamline can support many experiments because the neutrinos interact too rarely to get “used up.” The BNB feeds neutrinos to MicroBooNE, and most of them go on through to the other side towards the MiniBooNE detector. Similarly, most of those go on through the other side as well and continue traveling to infinity and beyond. 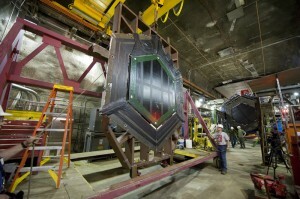 Detectors located in this beam measure neutrino oscillations and their interactions. The NuMI beamline is designed similarly, but uses a different target material, two focusing horns, and a 675-meter decay pipe. The spacing between the two NuMI horns is adjustable, allowing fine-tuning of the neutrino beam energy. The NuMI beamline has higher-energy neutrinos than the BNB and thus studies different properties of neutrino oscillations. The NuMI beamline feeds neutrinos to the MINERvA experiment and on through to the MINOS near detector. The NuMI beamline then continues about 450 miles through Earth on toward the MINOS far detector in the Soudan mine in Minnesota. By the time the beam reaches the far detector, it is about 20 miles in diameter! By having a near and far detector, we are able to observe neutrino flavor oscillations by measuring how much of the beam is electron neutrino flavor and muon neutrino flavor at each of these two detectors. The last of the big Fermilab neutrino experiments is NOvA. Its near detector is off to the side of the NuMI beam and measures neutrinos only with a specific range of direction and energy. The NOvA far detector is positioned to measure the neutrinos with the same properties at a greater distance, about 500 miles away in Ash River, Minnesota. By placing the NOvA detectors 3 degrees to the side of the beam’s center, NOvA will get to make more precise oscillation measurements for a range of neutrino energies. As more experiments are designed with more demanding requirements, Fermilab may expect to see more neutrino beamline R&D and the construction of new beamlines. 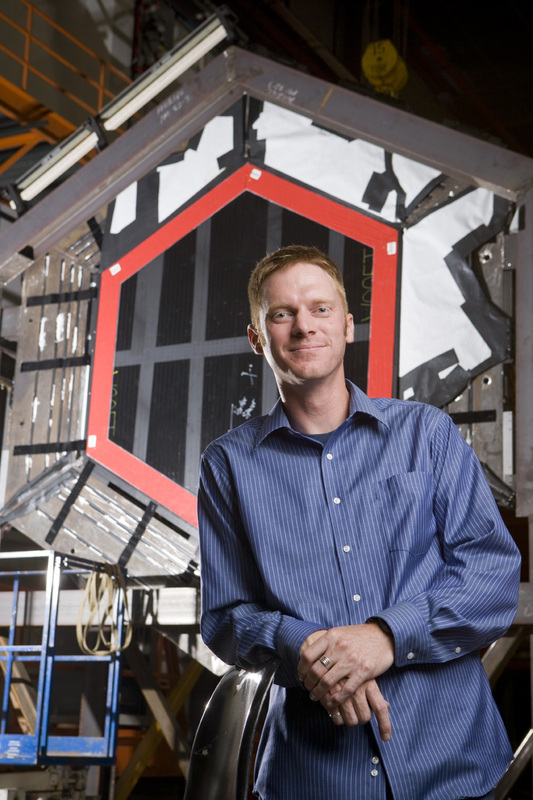 This article appeared in Fermilab Today on Sept. 16, 2014. Dominic is two. He is obsessed with “Despicable Me” and choo-choos. His mom Sheri Lopez is 29, obsessed with physics, and always wanted to be an astronaut. But while Dominic’s future is full of possibilities, his mom’s options are narrower. 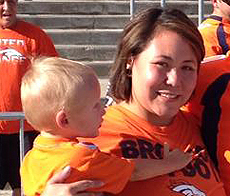 Lopez is a single mother and a sophomore at the University of New Mexico-Los Alamos, where she is double majoring in physics and mechanical engineering. Her future is focused on providing for her son, and that plan recently included 10 weeks spent at Fermilab for a Summer Undergraduate Laboratories Internship (SULI). “The main goal of it was to try to make the data that the MINERvA project was getting a lot easier to read and more presentable for a web-based format,” Lopez said. Interactive, user-friendly data may be one way to generate interest in particle physics from a more diverse audience. Lopez had no previous coding experience but quickly realized at Fermilab that it would allow her to make a bigger difference in the field. “I was determined to not let her miss this opportunity, which she worked so hard to acquire,” Waltrip said. Waltrip coordinates support services for interns like Lopez in 11 different programs hosted by Fermilab. Less than 10 percent of applicants were accepted into Fermilab’s summer program. SULI is funded by the U.S. Department of Energy, so many national labs host these internships, and applicants choose which labs to apply to. “There was never a moment when anyone doubted or said I couldn’t do it,” Lopez said. Dominic doesn’t understand why his mom was gone this summer, but he made sure to give her the longest hug of her life when she came back. For her part, Lopez was happy to bring back a brighter future for her son. Then it got complicated. G-Mom asked me what I do. MINERvA was starting to lose her cool. Of all the detectors in all the world, this proton walked into her’s. After 23 hours of interrogating this proton about what he was doing at the time of the boson exchange, he wasn’t revealing sign one The had detector picked up the proton in the vicinity of the incident. 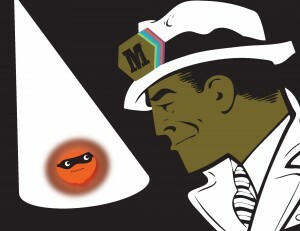 His usual accomplice, the muon, was seen fleeing north, where he was apprehended by MINOS, the adjacent detector. Even with the proton refusing to talk, the greenest rookie could spot a muon and a proton in the final state and tell you this was a case of charged-current quasi-elastic neutrino scattering. It happens all the time at these energies. A neutrino with a few GeV of kinetic energy flies deep into some back-alley nucleus and meets up with a neutron. The deal goes down quickly: a W+ is exchanged; the neutron, fed its fix of charge, is now a proton; the neutrino flies away as a muon, thanked for its troubles with a charge of his own. This is textbook quasi-elastic scattering. But this was not a textbook case. MINERvA had in her custody not one, but two protons! Only after she drained the last drop of espresso would MINERvA allow her weary legs to drag her back to the interrogation room. The questioning was fast and direct. A diagram of "textbook" quasi-elastic scattering. “Oh, yeah? How are you going to prove it? You don’t have jurisdiction inside the nucleus! The proton was right. Experiments are not able to see inside the nucleus. It could not be proven that the protons were involved directly in the neutrino interaction. But MINERvA was getting close to connecting the dots enough to figure out what this gang of particles was doing inside the nucleus. They couldn’t hide forever. Soon MINERvA would unravel their pattern and tell all the detectors in the world what was going on. ** When an interaction happens inside of a large nucleus, the particles involved in the neutrino interaction (“primary particles”) must travel through a sea of protons and neutrons to get outside the nucleus, where they can be detected. Primary particles may interact with the other protons and neutrons on their way out. For example, a primary proton can knock out another proton from the nucleus. 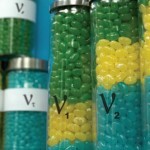 Then the experiment will observe two protons coming out of the nucleus (“final state particles”). The messiness of primary particles interacting on their way out of the nucleus is called Final State Interactions (FSI). MINERvA will measure FSI in its wide range of nuclei, thus revealing clues about the mysterious inner-workings of the nucleus. • MINERvA sees its first neutrinos! 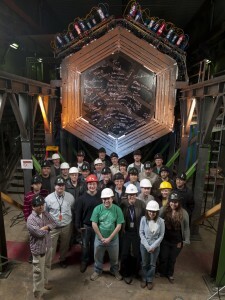 The number of Latin Americans working on the MINERvA experiment is unusual for a high-energy physics experiment. Among our Latin American collaborators, you’ll find professors, postdocs, graduate students and undergraduate students from countries such as Mexico, Brazil, Peru and Chile. Being part of MINERvA offers many opportunities. For example, graduate students can complete their Ph.D. theses using MINERvA data, and many also have the opportunity to work at Fermilab, where they share ideas and knowledge with other students, postdocs, and professors from around the world. Working on MINERvA provides Latin American scientists the opportunity to perform research at the frontiers of experimental high-energy physics. The projects and studies on which we work are crucial for the experiment and for the neutrino physics program worldwide. In my particular case, I am from Universidad Técnica Federico Santa María in Valparaíso, Chile. I recently had the opportunity and honor to be at Fermilab for five months working on two different projects. This experience was really exciting and challenging. I really learned a lot of physics and programming, understood more deeply how the experiment works, improved my English, and had the opportunity to meet and work directly with many experienced people in the field. In terms of my personal life, it was a bit difficult to get accustomed to all the changes, such as language, food and geographical distances (my commute in Chile is just a five-minute walk). And once I got used to these, it started snowing. When I was first told about the weather at Fermilab, I said, “Oh come on. You must be exaggerating”, but clearly I was wrong. I really enjoyed meeting all the people in the collaboration and was interested to find out that Spanish from other Latin American countries is quite different – most people were not able to understand me when I used my spoken Chilean-Spanish. But now all those difficulties are just memories, thanks to the help Guiliano (my Chilean partner and roommate) and I received from the other Latin American folks at Fermilab. When I returned to Chile a month ago, I realized that it would have been much more difficult to have this opportunity 10 years ago. I am really thankful for the efforts of Fermilab and the MINERvA experiment to make this possible, as well as the joint efforts that the Latin American Universities and their governments have made. The fact that the number of Latin Americans in the MINERvA experiment is large is evidence of the science development which has started in our region. It also reinforces the importance of the efforts that institutions and governments are making to achieve the altruistic goal of developing science in their countries. I would like to thank Jorge Morfin, who is working really hard to make collaborations like this possible; William Brooks, who is the leader of the experimental high-energy group of Universidad Técnica Federico Santa María and who keeps working to maintain and give the same opportunity to other Latin American students; and Deborah Harris and Kevin McFarland, the spokespersons of the experiment. I also want to thank the whole MINERvA collaboration who is doing a really nice job and pushing really hard to obtain the results the physics community is waiting for. This story appeared April 7 in the DOE blog energy.gov. Dave Schmitz often posts on Quantum Diaries. Particle physicist Dave Schmitz works on the MINERvA experiment at Fermi National Accelerator Lab — he took some time to tell us why neutrinos (electrically neutral, subatomic particles) are important to the universe and why the time 1:32am has special meaning for his experiment. And, check out Dr. Schmitz’s talk — “In One Ear and Out the Other: A Talk about Neutrino” — as part of Fermilab’s ‘Physics for Everyone’ lecture series. I started my career in science relatively late. I originally started as an architectural engineering student in college. I didn’t change to physics until late in my fourth year as an undergraduate. I had read several physics books for a public audience and became interested in learning more. I decided to enroll in a Physics III course as an elective towards my engineering degree. I remember my advisor thinking that I was completely nuts and only reluctantly signing my enrollment card. Maybe he was so hesitant because he feared I would not return to architecture. That semester, the class touched on the concepts of relativity and quantum mechanics for the first time. My professor was very enthusiastic and would happily spend extra time out of class discussing anything I wanted. At the end of that semester I joined a research group studying neutrinos produced by distant cosmological sources that interacted in the polar ice cap at the South Pole. In December 2000, I had the thrill of traveling to the experiment for two weeks to deploy some new equipment. If I wasn’t already hooked on a career in science, a trip to the bottom of the earth sealed the deal. DS: Neutrinos first sparked my interest as an undergraduate. 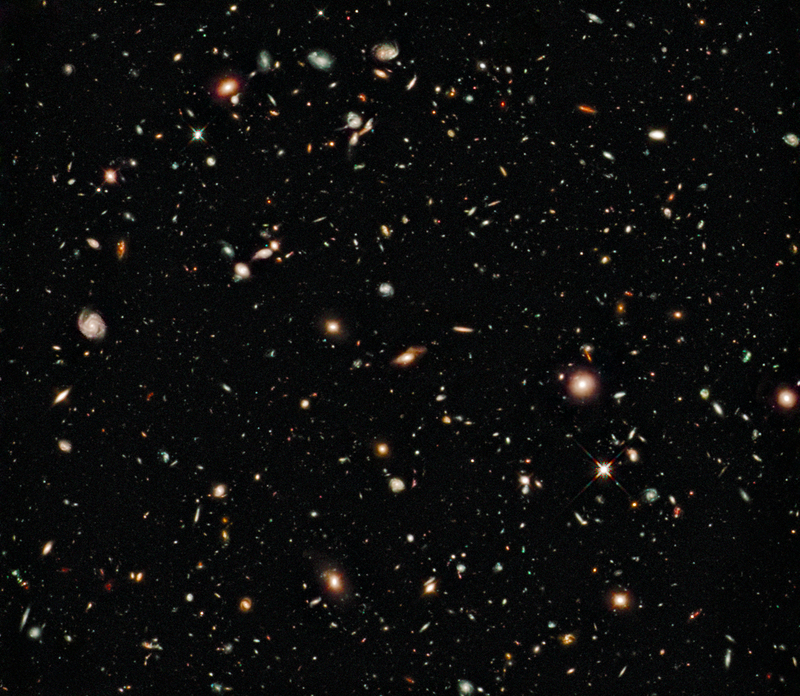 The idea that neutrinos could be used to tell us something new and exciting about an object on the other side of the universe was pretty incredible to me. Then in graduate school I had the opportunity to work on an experiment that was searching for a completely new kind of neutrino that we had never even seen before. I worked on the MiniBooNE experiment at Fermilab which was searching for evidence of “sterile” neutrinos, a new type that did not interact via any of the currently known forces. It turns out there remain many interesting unanswered questions about the fundamental nature of the neutrino. We now know that neutrinos do have a tiny mass, but we have not been able to measure its value — we only know that it isn’t zero. There is also the possibility that neutrinos and their antiparticles (simply called antineutrinos) may behave differently in very subtle ways. 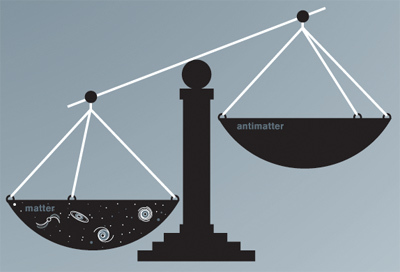 We are planning experiments now to search for such differences, which could be a big part of the explanation for why the universe we live in is dominated by matter with little to no antimatter. In this way, neutrinos could fill in a critical piece to our understanding of how the universe has evolved into the amazing (and, thankfully, hospitable!) place we see around us. See the rest of the article at energy.gov. When I say I work at Fermilab, most people assume I work on one of the Tevatron experiments. When I tell them that I work with neutrinos instead, a lot of people still aren’t familiar with the MINERvA experiment. So, since this is our collaboration’s first official contribution to Fermilab’s blog on Quantum Diaries this year, I’d like to introduce you to our small but awesome experiment. MINERvA is a neutrino detector the sits in the NuMI beam — the most intense beam of neutrinos in the world and the same beam that’s currently used by MINOS and that will soon be used by NOvA. In fact, MINERvA sits right in front of the MINOS near detector, in a cavern about 330 feet below ground. The detector itself is, among other things (See paragraph five), basically a big hunk of plastic — many thousands of long thin strips of a special kind of plastic that generates light when charged particles pass through it. When neutrinos from the NuMI beam enter MINERvA, a few of them interact with the nuclei that make up the MINERvA and we detect the products of these interactions through the light they produce. MINERvA is what’s called a neutrino-scattering experiment. Basically, this means our goal is to understand how neutrinos interact with ordinary matter. Because neutrinos interact so weakly, this is much less understood than you might think — it’s really hard to get enough neutrino interactions to make precise measurements. But thanks to the huge numbers of neutrinos from the NuMI beam and the precision of the detector, MINERvA is part of a new era of neutrino physics when precise measurements are becoming possible. 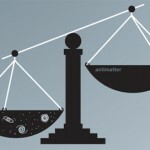 So, why do we want to better understand neutrino interactions? There are lots of neutrinos in the universe, and understanding what happens when they collide with matter is interesting in its own right, but there are also a lot of other reasons we’d like to understand neutrino scattering. For instance, experiments looking for exotic neutrino phenomena such as mass oscillations are plagued by large uncertainties associated with how likely neutrinos are to interact with nuclei. Input from MINERvA will decrease those uncertainties, and because the energy of the NuMI beam is near the optimum for studying neutrino oscillations, our measurements will be particularly useful to oscillation experiments. To tell you about another cool aspect of MINERvA, I have to explain that I lied a little bit above. The detector is not just a big hunk of plastic — it’s actually plastic interspersed with a few other materials, including our nuclear targets. Made of iron, lead, water and helium the targets allow us to study how neutrino interactions differ depending on what kind of nuclei they are interacting with. Neutrino scattering experiments in the past have attempted to study this, but because we’ll be able to analyze several different nuclei using the same beam and same detector, MINERvA will have a lot to say on this subject. Also, it turns out that studying neutrino-nuclei interactions is not just useful for understanding the properties of neutrinos, but can also tell you a lot about nuclei. So, while the majority of the physicists who work on MINERvA would call themselves particle physicists, we have quite a few collaborators who are nuclear physicists. We started taking data with the full MINERvA detector early last year, and we are now really hard at work trying to understand that data. There will definitely be a lot of interesting results from MINERvA soon — so stay tuned to this space, where we hope to tell you all about it.